The 2009 swine H1N1 flu pandemic — responsible for more than 17,000 deaths worldwide — originated in pigs from a very small region in central Mexico, a research team headed by investigators at the Icahn School of Medicine at Mount Sinai is reporting. The study, which was funded by the NIH’s Centers of Excellence for Influenza Research and Surveillance and NIH’s Fogarty International Center, represents the first time that the origin of an influenza pandemic virus has been determined in such detail. Researchers used state-of-the-art genetic analysis to identify the precise location and the main molecular transformations that allowed a pig influenza virus to jump into humans. They found that the virus responsible was a mix of one North American swine virus that had jumped between birds, humans, and pigs, and a second Eurasian swine virus, that circulated for more than 10 years in pigs in Mexico before jumping into humans. Previously, the most closely related ancestor viruses to the 2009 H1N1 virus were identified in Asian swine, but they were not as close genetically to the human 2009 pandemic H1N1 virus as the swine Mexican isolates found in this study. The only other H1N1 pandemic flu known to date was the Spanish flu of 1918 that killed between 50 and 100 million people — 3 to 5 percent of the world’s population. 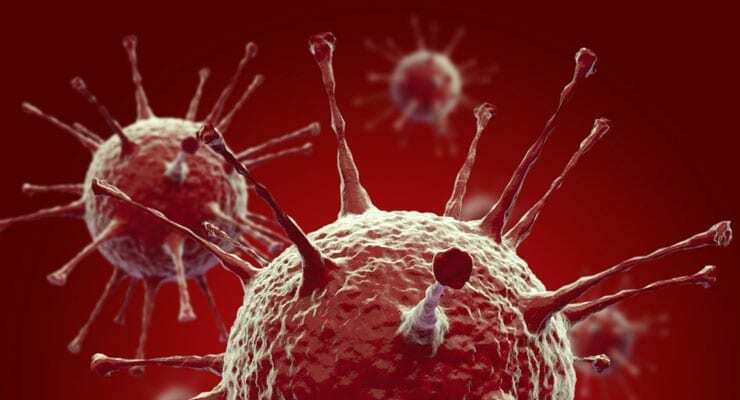 Influenza viruses infect up to 500 million people annually. “Knowing where and how an animal influenza virus infects humans and spreads all over the world helps us understand how we can reduce risk of these pandemics,” says the study’s senior author, Adolfo García-Sastre, PhD, Director of the Global Health and Emerging Pathogens Institute, Irene and Dr. Arthur M. Fishberg Chair and Professor of Medicine (Infectious Diseases), and Professor of Microbiology at the Icahn School of Medicine at Mount Sinai. In collaboration with the NIH and Avi-Mex, a Mexican veterinarian company, Garcia-Sastre and his team obtained 58 whole-genome sequences from influenza A viruses collected in the Mexican pigs and found viral sequences previously not known to exist in Mexico or in any other part of the world. Flu viruses have eight mini chromosomes and when two different strains infect the same cell they can exchange genetic segments — a process called reassortment. “All the pandemic flu viruses that we have tracked have had reassortments,” says Dr. Garcia-Sastre. The 2009 A/H1N1 was also a derivative of two different strains of swine influenza — one that had been circulating in Europe and Asia and another that was circulating in the Americas, especially North America. “There is a lot of surveillance in North American pigs, and we know that this virus was actually a reassortment that occurred years ago between a bird (avian), human and a swine virus,” he says. The 2009 swine virus was therefore a “quadruple” reassortment, Dr. Garcia-Sastre says. They also discovered that the parent virus had been present in the pigs in central Mexico for at least 10 years before a strain was generated that could jump into humans, and that the parent strains still exist in the pigs there today. The findings make sense, he says, because the first human flu infections were seen in Mexico before the 2009 pandemic spread rapidly to the United States and then around the globe. By solving the origins and the reassortments that led to the 2009 A/H1N1 pandemic, researchers might be able to study existing “brothers and sisters” of the virus to understand the type of mutations needed to allow a virus to jump into humans.